Our first Prime Minister Jawaharlal Nehru lead the Indian National Congress and is still considered one of the most popular Prime Minister Congress ever had. Nehru was also known for his clothing sense, style statements, his imported Nehru Jacket and different regional feathered caps and turbans. It's now more than 66 years but still some criticize Nehru for his expensive and amateurish interests which costs citizen's taxes. Similarly the current Prime Minister Narendra Damodardas Modi, brought a wave of popularity and revived BJP or better say has ignited for a new journey which seems will last long and the credit for this new BJP goes to the PM himself. Now both these most popular personalities of our country has an striking similarities, they both being the global style icons of their times. Nehru used to import his clothes from London which were shipped to Paris for stitching while Modi has one local vendor Ahmedabad's Jade Blue and one foreign vendor Holland & Sherry who recently shipped an unready suit cloth to Tom James for stitching a customized dress which Modi wore when he met Barack Hussein Obama in New Delhi. 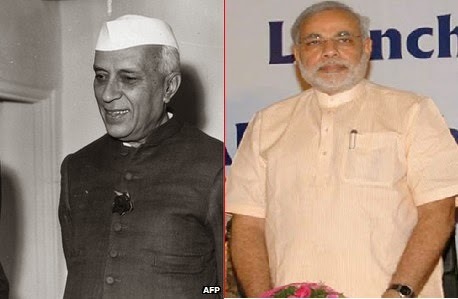 Nehru made his jacket a style statement popularly known as Nehru Jacket while Modi made his Kurta his style statement famously called Modi Kurta. Both Nehru and Modi is known for wearing clothes according to the locality and regional places they had visited for giving speeches. 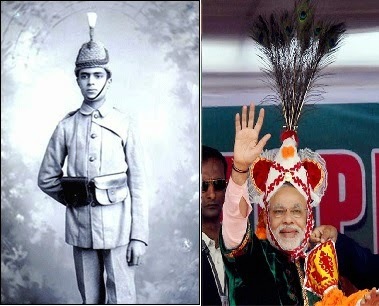 Nehru made his cap popular while Modi made his different styles of turbans popular. Both Nehru and Modi were a part of organizations were they served and rose to prominence through that organizations. 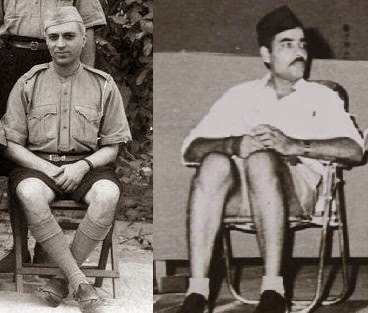 Nehru was a member of Seva Dal while Modi was Pracharak of RSS.